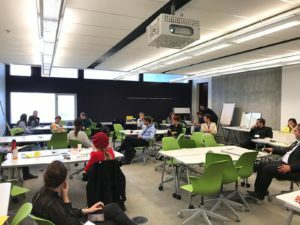 The workshop entitled ‘AutoUI Workshop on Methodology: Evaluating Interactions between Automated Vehicles and Other Road Users – What Works in Practice?’ took place on 23rd September 2018 at the Bahen Centre of the University of Toronto. 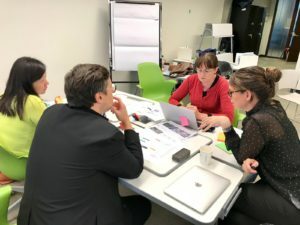 Partners from the interACT team (ITS Leeds and DLR) were among the organisers along with scientists from the Eindhoven University of Technology in Netherlands, and the Research Institutes of Sweden (RISE). 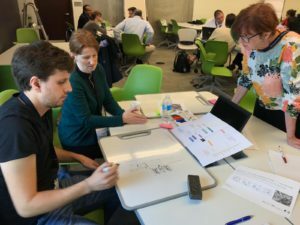 The workshop focused on identifying the strengths and weaknesses of various methodologies that could potentially be used to study such interactions. The objective laid in determining the proper experimental design, sensitivity of metrics for measuring user behavior, ecological validity, generalizability of findings, extraction of insights regarding how findings can be translated into actionable requirements, and the alternatives for conducting longitudinal field studies.The workshop was introduced with challenges that researchers are facing when evaluating interaction with automated vehicles and other road users. In addition, some of the main themes that were covered during the workshop were: the ecological validity of (controlled) experiments, the effective measurement of behavioral impact, the question of which methodology for which type of insight and the efficacy of Wizard of Oz (WOZ) setups for studying interactions. The workshop was of an interactive nature and involved hands-on activities. It consolidated existing knowledge, identify recurring issues and explore the path towards resolving these issues.